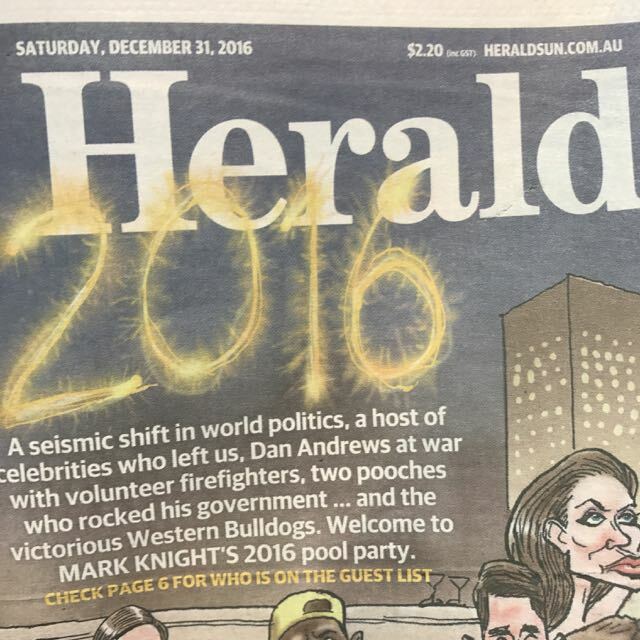 How much is the Herald Sun today? While I have not seen it for myself, several newsagents tell me the Herald Sun has the wrong price printed today – $2.20 instead of $2.40. One newsagent says they have been told they will be compensated the 20 cent difference for each copy sold. Seems strange that the ‘wrong’ price could be printed on a paper. Surely the price would be set/saved in the masthead wouldn’t it ? The wouldn’t add the price in for each days issue would they ? After 2 talks with circ. desk this morning, being told to charge the normal $2.40 price & only charging $2.20 to those that notice the cover price and/or kick up a fuss (and keeping a running total for the number we don’t get full $2.40 ), it is good to realise that the cover price is effectively just a “recommended price”. We were also told that many?/most?, newsagencies were sent an email. We were not. I would love to know how it read. We bit the bullet and are selling the paper at $2.20 and advised our subbies to do the same. I just hope we don’t have to fight with News Ltd over the compensation. Glenn while I am no lawyer, I suspect the law is on your side as you are an agent and the published price is the published price. Instead of risking a fight with News, why wouldn’t you charge the correct price and only charge the lower rate if the customer objects? This isn’t the first time the incorrect price has been published and I don’t recall a single customer trying it on. Bob, We are in a beachside holiday area, and I would say about 1/3 of unfamiliar faces look at the Masthead on the way to the counter. From comments over the years, I believe the main reasons are 1. An expectation the price goes up every 2nd week. 2. They are subscribers at home and have no idea what the normal price of the paper is. 3. They are in holiday mode and are reading the paper, where they don’t normally at home. 4. Working out what day of the week it is. 5. An expectation that the paper is dearer in the country. ( A very reasonable assumption that should be leveraged by VANA). We had 2 5min.+ conversations with customers about the price early in the morning, and the prospect of that continuing all day if we charged more than the stated price was daunting.